Las Vegas has always had the allure of the five-star hotels, international cuisine, hard and loud parties, and most definitely, the A-grade casinos. In peak season, hundreds of tourists and regular customers fly or drive to the desert to get their vacation fix. With the sights to see and top-class accommodation, it’s a vacation worth dreaming about. Maybe you’re finally in the mood to splurge with your hard-earned money, maybe you’ve had your fill of websites and want to feel the thrill first hand. But by some stroke of bad luck your flight got cancelled or your hotel reservation suddenly got double-booked, or you simply couldn’t get the chance to plan a weekend getaway to say you’ve been to Vegas. 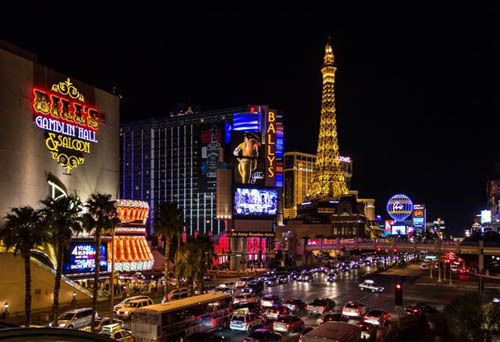 No worries though, the gambling capital certainly deserves a spot on your bucket list, but there are alternatives out there that aren’t as busy and aren’t as crowded but with relatively similar sights to see. Housing the world famous Hard Rock café, boosting its theme and music, New Orleans doesn’t fall off from the weekend getaway game as it also has classy hotels and musical entertainment as its forte. If you want to mix being immersed in both culture and casinos, there are a lot of historical museums and jazz-centric attractions in this state riddled with a colorful history in the music industry. One of the many things to consider when travelling is the distance you’ll have to travel. Atlantic City, just on the East Coast of New Jersey is similar to Nevada in terms of growth and scope, but Atlantic City also has a wide range of high-class establishments dedicated to offering top-notch services in hotels, spas, casinos, and entertainment. With a promising year ahead with its boost in revenues for the past two years after over a decade of decline, there will be sure to be more attractions and major sights to see in the following year. Over 2 million people take the trip to the Golden State. Even though it does not have as many commercial casinos as Vegas, it does have a huge number of Indian Casinos and Poker Casinos situated in numerous Native American Reserves. One of its largest resorts is the Pechanga Resort Casino which has the overall best rating around the area, housing over 4,000 slot machines, a massive 700-seater bingo hall, table games, poker rooms, and much more. If you’re looking for a nice alternative to Vegas, the establishment has won the AAA Four Diamond Award which is testament to its hotel accommodation, fine dining, and entertainment services.